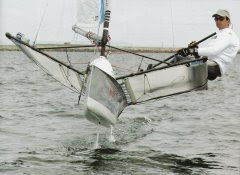 We often read about keel issues on Open 60's and Volvo 70's but check this out for a keel problem at the smaller end of the scale! 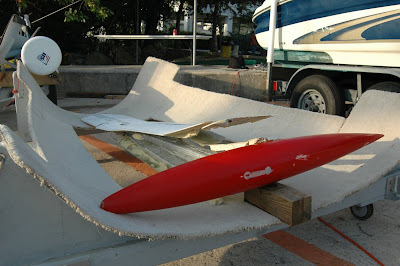 This was the keel of a Canadian Skud 18 during Miami OCR. 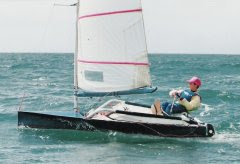 The Skud 18 is a 2 person paralympic class designed by Bethwaite. 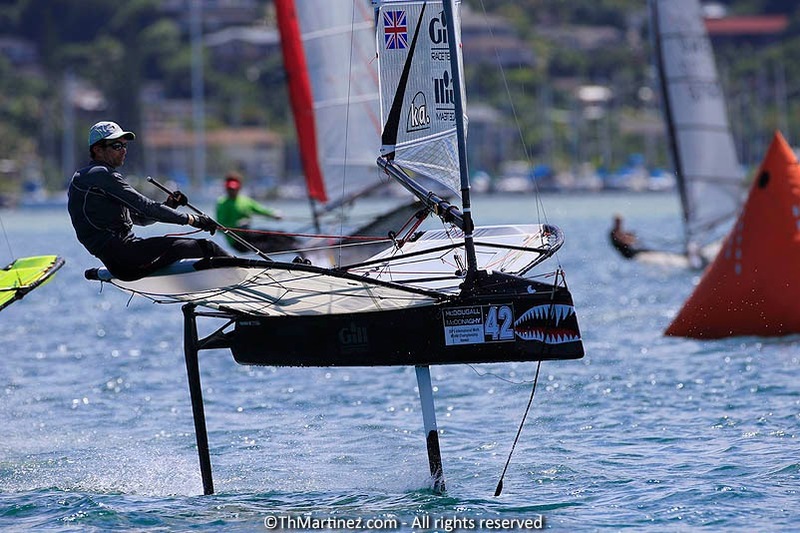 It has two seats on the centreline, a fat 49er style hull (on a keel boat that heels? but don't get me started on the many issues with this boat!) 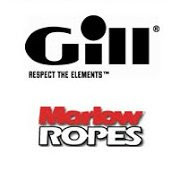 and basically a 29/49er style rig on it. The Skud fleet had been having keel issues in Miami anyway as it is actually quite shallow in our race area and several had been hitting the bottom. There were lots of scratched bulbs, and one fin failure that looked like it had hit the sand, and then been tacked on, and twisted the bulb, which cracked the lower portion of the fin. A local boat builder glued it back together but the bulb no longer pointed fore and aft! Either way it was an impressive bit of damage for another light wind day in Miami!